Is Scandinavia your next rock climbing destination ? This map shows you the locations of some of the best granite crags in the world. The style of climbing varies from traditional crack routes to overhanging sport climbs. Click on the legend tab to see the names of the crags. Freelance IT consultant with a passion for the outdoors. 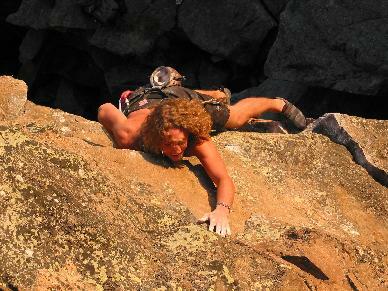 The purpose of this page is to collect and distribute GPS coordinates for the best rockclimbing spots in Scandinavia. If you have the coordinates to crags that aren't included on this page or if you find any errors in the existing positions, please email your update to: rockclimbing@gaiafix.com so that we can publish them.